The physiognomy of the building can be roughly described by the terms earthwork and frame-building. The coexistence of these two themes is as old as architecture, and thus a universal theme that can be found in both the Greek temples and the Helsinki Cathedral. The application of this principle to the new Guggenheim Museum is not just a statement about the meaning of art, but lays the foundations for a place of the sublime. 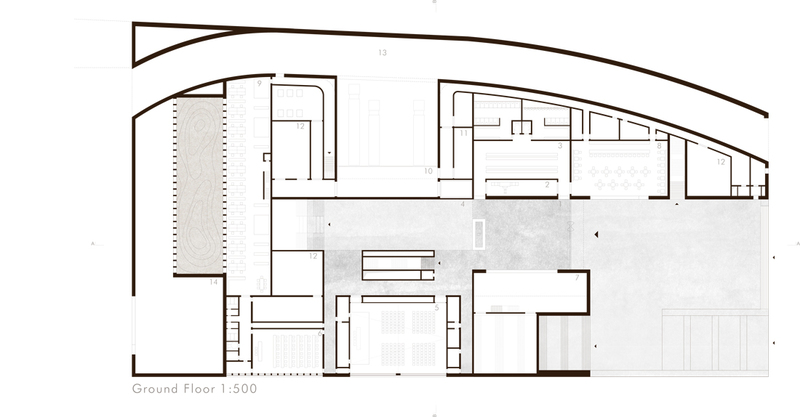 The shape of the building results from an analysis of the place in terms of three-dimensionality, scale and topography. The main volume, which houses the galleries, resembles in its dimensions the existing buildings that line up along the bank. Due to its public significance, however, the museum stands apart from the block structure and appears as a solitary form. The landscape themes found in the Tahtitornin Vuori Park are continued in the base of the building. The clearly defined entrance area, the elevated museum terrace, which is partly used for the restaurant and as a pedestrian zone, creates an inviting public area that recognizes the unique quality of the place. 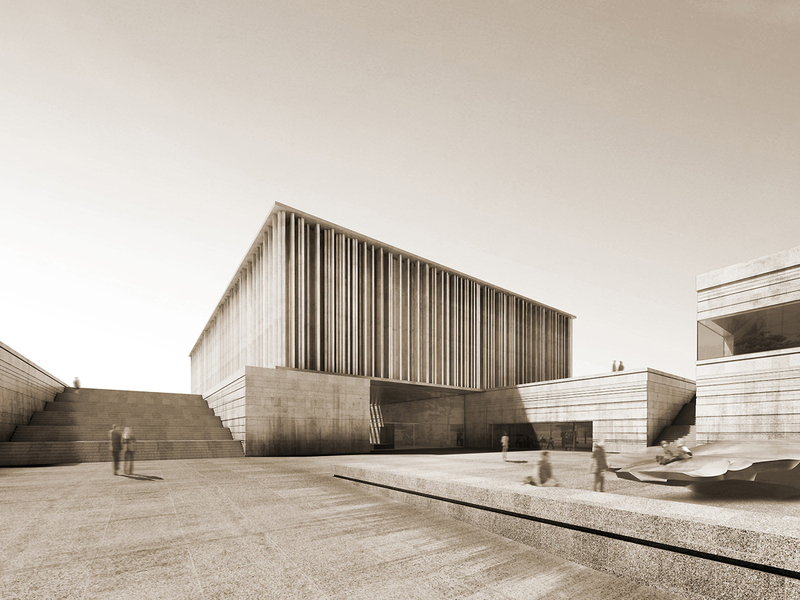 Although the museum building is formally an expression of its importance, it opens with an inviting gesture and guides visitors naturally into the building. 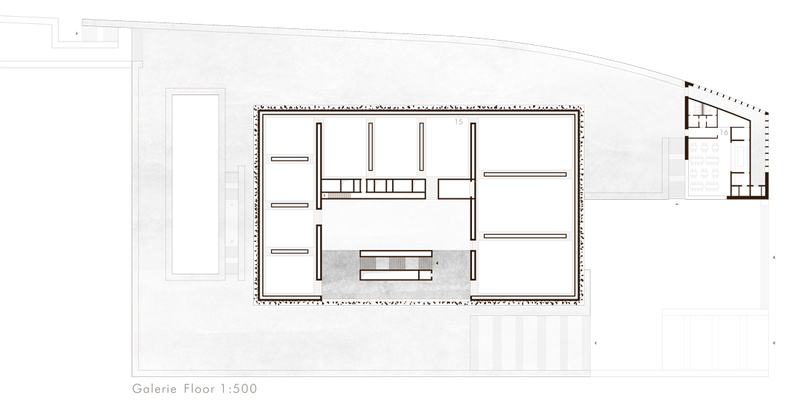 The entrance hall is directly connected to the obligatory visitor service and connects directly to the central multipurpose area, which forms the core of the museum. This multi-storey room, together with the surrounding gallery space, forms a complex group of rooms, based on the principle of transparency and opens up to visitors through large-scale wall openings. 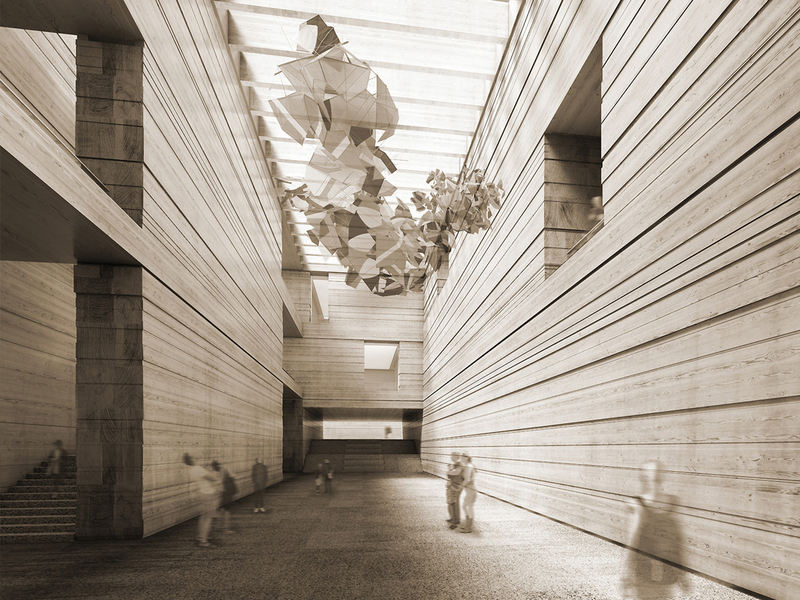 The design concept for the galleries follows the principle of putting art into the limelight.